A practical, fun and healthy investment, the modern swim spa is more than meets the eye. If you’re considering the investment, here are the top three reasons to buy an exciting swim spa. Swimming, jogging or weight resistance, a swim spa offers easy aquatic exercise. A smart lifestyle choice, set the temperature in your spa and enjoy a fully customized workout. Ease aches and pains, and soothe sore muscles from the comforts of a luxurious swim spa. Target all major muscle groups with invigorating massage on-demand. 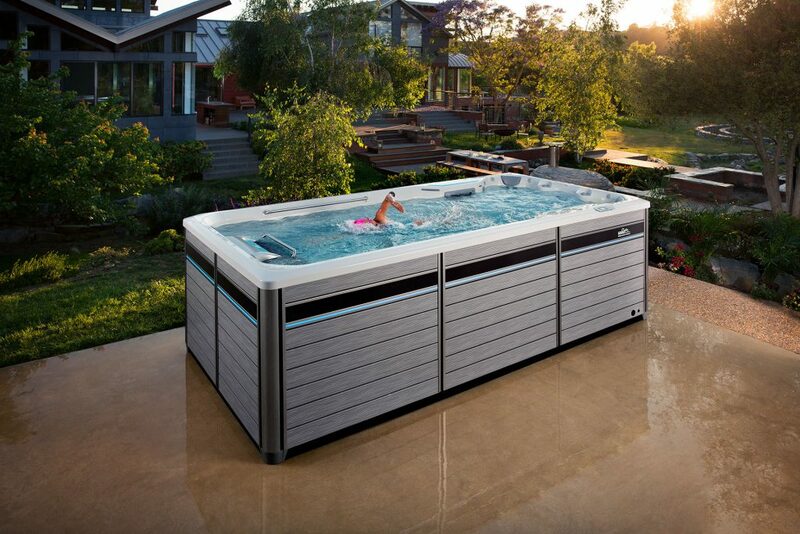 The perfect solution for mom, dad and the kids, the modern swim spa offers year round family fun. Safe and exciting, it’s great to swim in less space and relax on-demand in a luxurious spa.